The Grayne Deluxe Padded Ski bag will protect your skis from just about anything you can throw at them! Featuring a full 360 degrees of ultra plush premium padding, this bag is like wrapping your skis in a pillow. The exterior is made with ultra durable Ballistic Nylon and double stitching throughout, allowing for season after season of heavy use. The large main compartment comfortably fits any set skis and bindings up to 193 cm and even fits a set of poles! A reenforced, padded Velcro handle makes transportation a breeze! Grayne also added a luggage tag window to the end of the bag for easy identification whether at the airport or simply in a truck full of bags on your way to the mountain. Full metal dual zippers round out the bag for extended durability, allowing Grayne to offer a 3 year warranty against manufacturer defects. 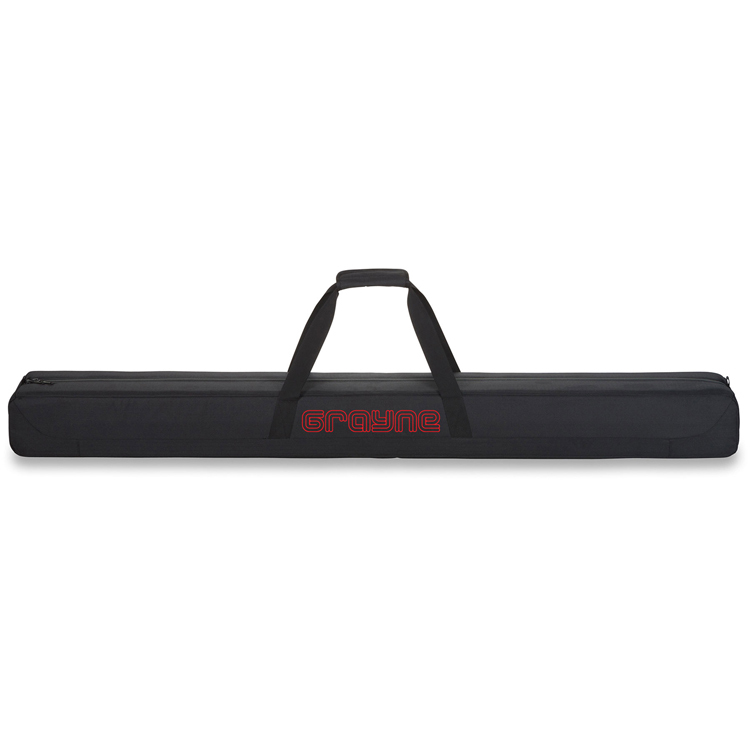 Keep your skis looking like new season after season with the Grayne Deluxe Padded Ski Bag!